Looking for an elegant touch to your landscape design? 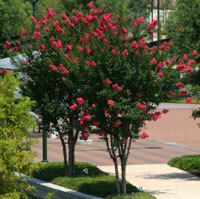 The Natchez variety of the Southern-loving Crape Myrtle provides just that. This shrub, which blooms clusters of white flowers in the summer months, is planted only for its decorative purposes. Even in the colder months, the Natchez displays glossy, dark green leaves that yield shades of orange and red in the fall. It delights year-round in hardiness zones 7-10. The Natchez is well suited for roomy yards with plenty of sunlight, but the shrub is also common along streets and sidewalks. Its welcoming presence softens the corners of buildings in industrial downtown settings. These plants can get massive, too. 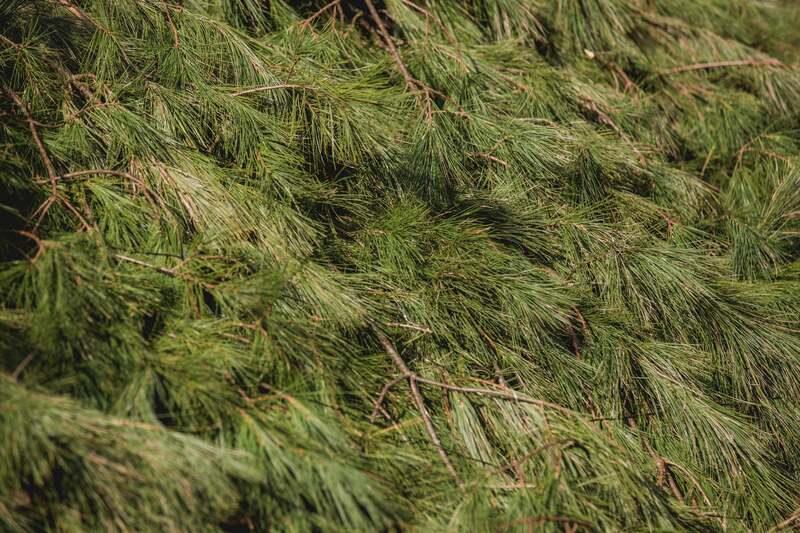 At maturity, the Natchez reaches 25 to 30 feet high and 30 to 35 feet wide, creating shade. As its hardiness zone indicates, the Crape Myrtle Natchez thrives in the Southernmost states, where the temperature is constantly warm and conditions are sunny. The Natchez does not fare well in locations where the soil is well-drained. Another elegant factor of this lovely shrub is its ability to attract birds. Mature Height: 20 to 30 Feet. Mature Width: 30 to 35 Feet.